He is the legend who defined the name of the soccer club Manchester United. It is none other than, Sir Alexander Chapman Ferguson. The fatherly manager was appointed on the November of 1986 and had been the manager of the club for a lifelong 26 years. In his 26 years as the Manchester United manager, he bagged a total of 26 trophies. This include 13 premier league titles, 2 champions leagues and 5 FA cups. The legend as a premier league manager had been managing 808 matches, with 527 wins, 167 losses and 114 draws. Including all the cup games and champions league matches, he managed 1498 matches, out of which he bagged 894 wins , 337 loss and 267 draw. Under his exceptional career as a manager many legendary footballers were born namely David Beckham, Ryan Giggs, Paul Scholes, Cristiano Ronaldo, Wayne Rooney etc. His style of play and methodology has been widely appreciated by the football scholars in one voice. Maintaining such a good statistics over a period of 26 years at Man Utd truly makes him a legend. 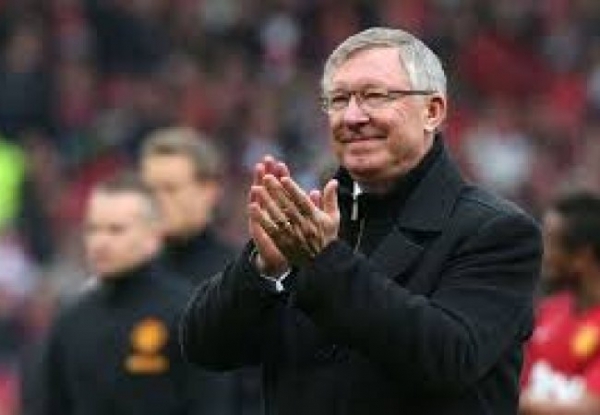 The Alex Ferguson Stand at the Old Trafford Stadium is itself a gratitude to his big contribution to the club. The best of the best Sir Alex is truly the greatest manager ever to grace the football world and to guide and lead Man Utd to powerfull status wish you well on a full speedy recovery #keep fighting..
You truly are a legend and the greatest manager ever. Hope you get better soon .